New for 2005, RP Books has published classroom guides for Magic Lands, including a teacher's classroom guide and a student's classroom guide. Don't miss these handy books or the all new 2nd Edition of the Teacher's Classroom Guide to Ruin Mist. The books include vocabulary builders, cooperative learning, and critical thinking exercises as well as a full-length interview with the author. Thank you teachers and readers for making The Kingdoms and the Elves of the Reaches one of the best of 2005. We look forward to hearing from other teacher and reader groups. teens.reagentpress.com A destination site for teens. kids.reagentpress.com A destination site for kids. Discover 100 of the best Robert Stanek and Ruin Mist related sites at	Top Ruin Mist Sites. Join the discussion at the Robert Stanek Discussion Boards. Want signed editions of the books? Official E-Signing. Like blogs? Read Robert Stanek’s blog. After the Great War that divided the peoples, the kingdoms of men plunged into a Dark Age that lasted 500 hundred years. To heal the lands and restore the light, the great kings decreed that magic and all that is magical, be it creature, man or device, shall be cleansed to dust. The first book in the dark path through the history of Ruin Mist. The Ruin Mist Chronicles begin when the Elf Queen sends the warrior elf, Seth, on a journey to the kingdoms. Legend says that the elves and men have been enemies since the dawn of time and there are few who remember the time before the Great War that divided the peoples of Ruin Mist. Two dozen elves set out from Leklorall, the capital of East Reach. Only two reached the far shores of the great sea. Their names were Seth and Galan and they sided with Great Kingdom during the Battle of Quashan' but success on the battlefield could not undo the past. www.reagentpress.com Our books, games and RPG site. www.robertstanek.com Our dedicated site for author Robert Stanek. www.ruinmist.com Our dedicated site for the world of Ruin Mist. www.themagiclands.com Our dedicated site for the magic lands. www.wizardsofskyhall.com Our dedicated site for Wizards of Skyhall. www.ruinmistmovie.com Our dedicated site for Ruin Mist: The Lost Ages. books.reagentpress.com Learn about our current and upcoming books. audio.reagentpress.com Learn about our current and upcoming audio books. We've also launched Ruin Mist: Dawn of the Ages and Bugville Critters web sites. RP Books, Reagent Press is proud to be the official publisher of #1 bestselling author Robert Stanek and his Ruin Mist books. Across the country and around the world, Robert Stanek's books are becoming international sensations! The books have been called "the Star Wars of fantasy", "a wonderful cross between JRR Tolkien and JK Rowling," and "like getting Tolkien with all the right touches of Rowling." Currently, RP Books is in discussion with a number of foreign language publishers for translation rights to the Ruin Mist books. Translations are in progress or in discussion for the following languages: Chinese, Korean, Russian, Bulgarian, Japanese, Finnish, Danish, Spanish and German. 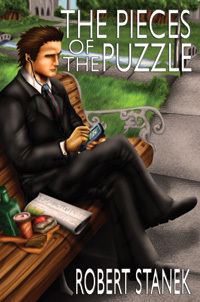 The Pieces of the Puzzle is Robert Stanek's latest bestseller. This Top 10 mystery bestseller has been generating strong buzz this fall. What's next for the author? 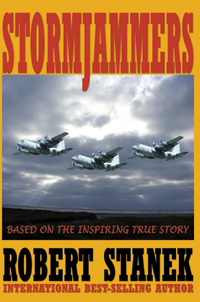 Stormjammers, a work based on an inspiring true story of family, friendship, and heroism in action. Robert Stanek’s books are starting to capture the hearts and imaginations of people around the world. Just about everyone seems to like the refreshingly unique fantastic adventures and the breathtaking world of Ruin Mist. To save her kingdom Queen Mother sent her most trusted warriors on a perilous journey across the Great Sea. But the elves were betrayed. Only a handful survived, and only two reached the far shores. The survivors did not find quick allies. They found a kingdom under siege and a shattered alliance. Adrina, Emel, Vilmos, Galan and Seth face even greater challenges as their world is transformed. Vilmos, in his quest to become the first human magus in a thousand years, must control the darkness within him. Adrina must accept her place and work together with Emel to help the elves make their plea to Great Kingdom's council. Reagent Press books have been featured in a variety of articles, in ads, at book fairs, and in the news. In Publisher’s Weekly you may have seen our books in Children's Flying Starts (Dec. 2002), Bestsellers 2002 (Jan. 2003), Spring Adult Announcements (Jan. 2003) or Fast-Growing Small Publishers (Mar. 2003). In 2002-03, we had books nominated for Best Young Adult Books and prestigious Publishers Association awards. Learn more. Reagent Press welcomes two new authors: Jay Giles and	Tom Schwartz. Jay’s book is a classy mystery that will have you glued to the page, and Tom’s is a classic children’s book already generating strong interest with international publishers. An RP Books First: In a first ever for Reagent Press, we have secured the rights to Wizards of Skyhall: The Game and Wizards of Skyhall: The Series—the amazing debut of the soon-to-be bestselling author J. R. King. J. R. King is a young author with a bright future. Now available: Student’s Classroom Handbook For The Kingdoms And The Elves Of The Reaches. We’re expanding, enhancing and updating our Books for Schools Program. We’re Helping Communities and Growing. Read all about it! Cross the Great Divide Between Cultures and Worlds with Popular Author Robert Stanek. Author William Robert Stanek is breaking new ground in shaping the future of business on the Internet. The uncertainty of changing technology makes Stanek's work challenging. Visit William Robert Stanek’s Writing And Web Work Archives. William Robert Stanek's Internet Daily News - The original Internet daily. William Robert Stanek's Internet Job Center - A resource for job seekers. William Robert Stanek's Writer's Gallery - A resource for writers.